I've uploaded the java-replay & PGN of all the games from FM Steve Stoyko's lecture on the Winawer Variation, which took place at Kenilworth on November 8th. The Tarrasch Variation segment, which was to have taken place the same night, will be on Thursday, December 6th. (8:00 p.m.; $5.00 admission). FM Steve Stoyko's 3rd lecture on the French Defense, which was given at the Kenilworth CC on November 1st, covered the Steinitz Variation, Classical Variation and Alekhine-Chatard Attack. Here are the java-replay & PGN of all the games from that lesson. Perhaps the most interesting segment that night was Steve's good N vs. bad B ending illustration & recommendations. I have taken the liberty of modifying the diagram from his text to even out the tempi & try to match it to an actual game. 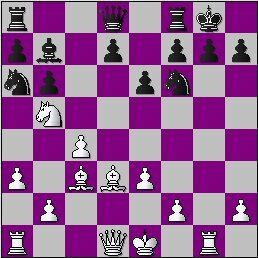 Black has no steed or dark-squared B to challenge White's Nd4 & his light-squared B can't attack anything. White can expand on the K-side with f4-f5 or replace the Nd4 with his K and try to provoke weaknesses that would allow his monarch to penetrate. Notice that ...a7-a6 by Black would help the enemy K infiltrate. Treat that little move with respect. Many Black players make it automatically but it can turn out to be fatal! A plan for Black is to play ...Bd7, ...f6, ...Be8 and ...Bh5/Bg6; repositioning the bad QB. Another is to play ...a6, ...b5, ...b4, ...a5 and ...Ba6. Although the White position is better, it is hard to play since milking the position requires him to beware of all the plans Black can try. 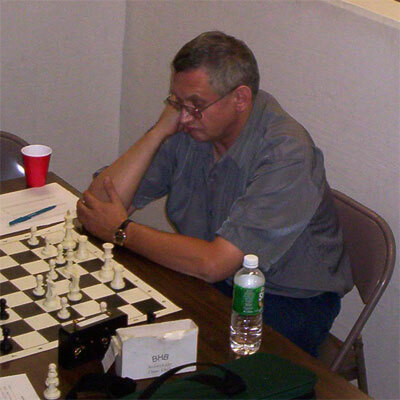 NM Scott Massey is scheduled to give a lecture at the Kenilworth Chess Club tonight, starting at 8:00. I'm not sure about the admission fee or topic but the lectures are usually $5.00 & the KCC calendar indicates Polish GM Akiba Rubinstein may be the subject. FM Steve Stoyko's 2nd lecture on the French Defense covered lines with ...dxe4, 3.Be3 & 3.Bd3. The notes below are derived from his accompanying text. 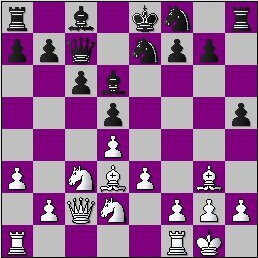 Black challenges the piece on e4, to either force an exchange or time-wasting retreat. 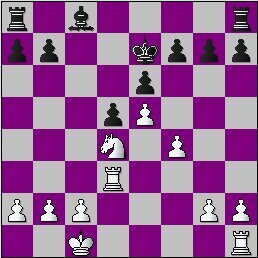 With development completed (at least K into safety), Black will nullify the center with either ...c5 or ...e5. The biggest problem is getting the QB (Bc8) developed. In this system, it comes out via ...b6 & ...Bb7 or (if possible) ...a6 & ...b5. If all of this can be accomplished, Black will have equal middlegame and endgame chances. Patience is needed when playing this way with Black. He cannot really attack anything and has to wait for White to do something rash or over-aggressive. How does White make progress? All of these lines (Rubinstein, Purdy, Fort Knox, Burn) are interesting and require both sides to play well. Black often has to defend against K-side attack but, if he accurately does so, he has every prospect of winning since the White player tends to go "all-in". The attacking side is NOT easy to play. I have been on both sides of these positions and have always seen White get into severe time-trouble! Here's are the java-replay & PGN of all the games from the lesson. Here they are in Java-replay & zipped PGN. I've finally gotten around to annotating my Kenilworth G/30 loss to FM Steve Stoyko (it was promised in post #208!) & adding it to the tourney's replay page & zipped PGN file. To see who gained & lost rating points in the event, check out the official USCF crosstable. Two Sundays ago, at the Westfield Quads, NM Mark Kernighan won a 15-move miniature against Tim Hall's Nimzo-Indian Defense. The variation? ...his favorite 4.Bd2, which some (not me!) have criticized. Here's the full game, with annotations, in java-replay & PGN. GM Sergey Kudrin won the Ernesto Labate Grand Prix yesterday in Westfield, with 4.5-0.5 score. Tying for 2nd (at 4.0) were FM Mikhail Belorusov, NM Evan Ju & IM Bryan Smith. There was a 5-way knot for 5th place (3.5) between FM Tom Bartell, IM Guillermo Estevez, NM Peter Radomskyj, NM Victor Shen & FM Anatoly Volovich. Jennie Liu received the best game prize. The event drew 12 titled players and a total of 38 entries. 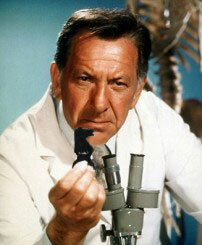 Fellow blogger Jim West, who finished at 3-2, has already posted his best effort as Black. My games, which you'll laugh & shake your head at, will follow ASAP.